Stanley Jayasinghe - 78 not out tomorrow - served cricket well! CRICKET: 78 not out tomorrow - that's Stanley Jayasinghe, the former Nalanda College, Sri Lanka and Leicestershire cricketer. Jayasinghe forced his way into the firmanent of school cricket here in Sri Lanka (then known as Ceylon) monopolised by Royal, S. Thomas', Trinity and in later stages by the formidable Josephian team. His education was at Nalanda which was first started as a branch of Ananda College. But before his school days, it is well worth recalling his initial years. He was born to parents Arthur and Martha of Ridipana, Badulla and bred in the wild surroundings more familiar with that great chieftan Tissahamay, where sports in general and cricket in particular hardly captured the appeal of the village population. In such a backdrop Stanley's entry to Nalanda College, Colombo was a blessing in disguise. In a meteoric rise in both studies and cricket, Stanley was a peer in this sport much ahead of his age. Stanley Jayasinghe is a gifted player and he remains as one of the gifted players, both nationally and internationally. He remains the perfect blend of genius and talent who strode the field of cricket. He became an instant junior cricketing prodigy that in later years blossomed in full. He was first heard of as a 13-year-old schoolboy playing for Nalanda (Minuwangoda) in a war-time match vs Ananda on the Grounds of the Gampaha Botanical Gardens. 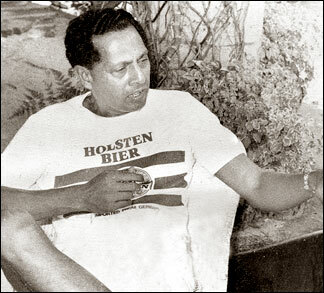 Although the late Gerry Gooneratne - the Nalanda coach, guided him during his school career, it was really Sir Learie Constantine who got the best out of stanley. Constantine described him as born cricketer and said that he should be left alone as coaching would only tend to spoil his natural talents. 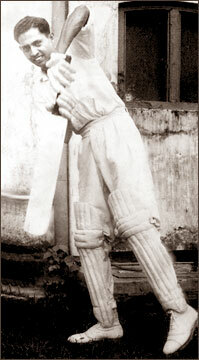 It was Constantine also who encouraged Stanley to play league cricket as his type of aggressive batting would draw crowds in any part of the world. Jayasinghe was fixed up in Lancashire league cricket in which he played for four years from 1957. Stanley Jayasinghe in a relaxed mood speaks about cricket. At the outset his best performances for Nalanda were 87 and a match bag of 10 for 65 vs Dharmaraja, 70 and 56 vs Prince of Wales. In the pre-war years, Nalanda were considered `underdogs' to their age - old rivals Ananda and the other big cricketing colleges, but Stanley Jayasinghe and his teammates including, among others, twins Carl and Valentine Obeysekere, Ashley de Silva and Amarasiri Gunasena changed that order. In 1949 playing for Combined Colleges vs University, he scored 56 and took 6 for 21. He followed this with a brilliant century against a strong SSC XI, the cricket champions of that year. From then on he never looked back and was always a `cert' for representative side in Ceylon. 1950 was vintage year for Stanley Jayasinghe. He made his debut for Ceylon as a schoolboy against Jack Livingstone's Commonwealth team and played with success in all the three games for the CCA XI, All Ceylon and the Combined Indo-Pakistan-Ceylon XI. He also toured Pakistan with the All Ceylon team in 1950. He first played for Ceylon as an off-spinner. He was a prolific run-getter in Pakistan and he got the most number of runs for a Ceylonese batsman with 125 vs Combined Universities as his highest. Although Ceylon was beaten in both `Tests', Stanley was the most successful batsman in every single innings. His 80 in the second Test at Karachi against Pakistan's best bowlers - Fazal Mahmood and Khan Mohamed was a gem of an innings. On his return to Ceylon, he was chosen to represent All Ceylon under Malcolm Spittel against Freddie Brown's MCC team to Australia. In that year he was awarded the trophy for the "Sportsman of the Year". In 1951 Stanley once again captained Nalanda who shared championship honours with St. Joseph's. Apart from his two centuries vs St. Benedict's and Prince of Wales, he scored 90 and 78 against Royal and 86 vs Ananda and also had several good bowling performances. He also captained Combined Colleges vs Indore Rotarians XI that included Indian Test cricketers Gaekwad and Rangnikar and top-scored with 72. He was also chosen for both games vs Leslie Ames Commonwealth XI for All Ceylon and the Combined XI. He scored 44 and 62 and was particularly severe on Sonny Ramadhin then at his very best. Stanley first played two seasons of `Sara Trophy' cricket for SSC, but his best years were with the NCC, where he seemed to be very happy. Stanley Jayasinghe was in England for many years and he teamed up with another Sri Lankan of yesteryear - Clive Inman and the duo played for Leicestershire and they were popularly known as the cricketing twins from Ceylon. They were in the limelight in 1963 in the matches against Surrey and Cambridge. In the match against Surrey, the Leicestershire team was in dire straits and then Jayasinghe came to the middle. He prevented a collapse. In the next game against Cambridge, Jayasinghe and Inman had a splendid 5th wicket partnership of 147 which completely demoralised the Cambridge team. Jayasinghe knocked up a cool 91, while Inman made his first century in first class cricket. But before playing cricket, Jayasinghe went to England to be a tea-taster, but couldn't resist the lure of professional league cricket. He achieved considerable success and was noticed by several clubs. Stanley Jayasinghe in Ceylon would have made just another good batsman with a few scores to his name. In England, he came up with the great and achieved greatness. There was more than he could have done anywhere else he achieved - discipline and restraint and wider experience, so that he finally came to be better equipped batsman, more to be relied on, yet not better - equipped batsman, strokes he used to make. That be beat Weekes to it in an English league season was no surprise to most followers of the game. Many critics expected it from him. And that he was a prominent figure in Lancashire was, but a logical sequence. A good cricketer will fit in anywhere. And a good cricketer like Stanley is a rare commodity in this changing world. His feats against England skippered by Donald Carr in 1962 and that glorious century that gave him a tumultuous applause by Javed Burki's Pakistani's were grafted with all the artistry a batsman could produce. Moving to `Old Blightly', Stanley's performances in both the league and county cricket remains somewhat unequalled, leave alone been surpassed by a Lankan. With a penchant for the backfoot cover drive, the back foot on drive and the back foot straight drive, he held his own amongst the best in international cricket. He married Enika - a Deutsch girl and was blessed with a daughter Yuonne who has settled down in Deutschland. Besides Stanley's exploits in the competitive field of cricket, his knowledge in the technicalities of the sport is enormous - something like a reservoir the country could not lose and he has served the country well. Now he spends somewhat of a quiet life in the wilds of Tanamalwila, getting a well earned rest from the game where he displayed the true qualities of a genuine cricketer. Produced by Lake House Copyright © 2009 The Associated Newspapers of Ceylon Ltd.